1 Praise the Lord! Oh give thanks to the Lord, for | he is good,* for his steadfast love endures for- | ever! 2 Who can utter the mighty deeds | of the Lord,* or declare | all his praise? 3 Blessèd are they who observe | justice,* who do righteousness | at all times! 5 that I may look upon the prosperity of your chosen ones, that I may rejoice in the gladness of your | nation,* that I may glory with your in- | heritance. 1 And the word of Samuel came to all Israel. 23 And when they had inflicted many blows upon them, they threw them into prison, ordering the jailer to keep them safely. 24 Having received this order, he put them into the inner prison and fastened their feet in the stocks. 25 About midnight Paul and Silas were praying and singing hymns to God, and the prisoners were listening to them, 26 and suddenly there was a great earthquake, so that the foundations of the prison were shaken. And immediately all the doors were opened, and everyone’s bonds were unfastened. 27 When the jailer woke and saw that the prison doors were open, he drew his sword and was about to kill himself, supposing that the prisoners had escaped. 28 But Paul cried with a loud voice, “Do not harm yourself, for we are all here.” 29 And the jailer called for lights and rushed in, and trembling with fear he fell down before Paul and Silas. 30 Then he brought them out and said, “Sirs, what must I do to be saved?” 31 And they said, “Believe in the Lord Jesus, and you will be saved, you and your household.” 32 And they spoke the word of the Lord to him and to all who were in his house. 33 And he took them the same hour of the night and washed their wounds; and he was baptized at once, he and all his family. 34 Then he brought them up into his house and set food before them. And he rejoiced along with his entire household that he had believed in God. 35 But when it was day, the magistrates sent the police, saying, “Let those men go.” 36 And the jailer reported these words to Paul, saying, “The magistrates have sent to let you go. Therefore come out now and go in peace.” 37 But Paul said to them, “They have beaten us publicly, uncondemned, men who are Roman citizens, and have thrown us into prison; and do they now throw us out secretly? No! Let them come themselves and take us out.” 38 The police reported these words to the magistrates, and they were afraid when they heard that they were Roman citizens. 39 So they came and apologized to them. And they took them out and asked them to leave the city. 40 So they went out of the prison and visited Lydia. 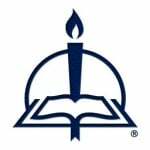 And when they had seen the brothers, they encouraged them and departed. Ezekiel, the son of Buzi, from the line of Aaron, was a priest and prophet. In the year of the world 3350, in the sixth year before the fall of Jerusalem, he was divinely inspired in Babylon to console and strengthen the Jews, who five years previously, at the urging of Jeremiah and of their own free will, had given themselves with King Jehoiakim or Jeconiah to King Nebuchadnezzar and had migrated to Babylon. These people, seeing that the destruction of Jerusalem was delayed for five full years, were thinking that the predictions of Jeremiah were in vain, and they were regretting that they had voluntarily left their fatherland. Therefore Ezekiel predicted that Jerusalem would surely be overturned, even if the punishment were delayed for a while. At the same time, he also promised the liberation and return from Babylon (ch. 11). In the year of the world 3358, the third year of Jeconiah’s migration, Ezekiel was called to his ministry by a unique rite and divine testimony (chs. 1–3). The vision of the four wheels and living creatures (chs. 1 and 10) signifies the chariot of Christ, in which, through the ministry of the Gospel, with the breath of the Holy Spirit and the fiery tongues of the apostles, He is conveyed into all the world. . . . In the year of the world 3378, the twenty-fifth year of Jeconiah’s migration, Ezekiel described the building of the spiritual Jerusalem, or of the ministry of the Church of Christ, from the fortieth chapter until the end. Ezekiel, the son of Buzi, was a priest called by God to be a prophet to the exiles during the Babylonian captivity (Ezekiel 1:3). In 597 BC, King Nebuchadnezzar and the Babylonian army brought the king of Judah and thousands of the best citizens of Jerusalem—including Ezekiel—to Babylon (2 Kings 24:8–16). Ezekiel’s priestly back-ground profoundly stamped his prophecy, as the holiness of God and the temple figure prominently in his messages (for example, Ezekiel 9–10 and 40–48). From 593 BC to the destruction of Jerusalem and the temple in 586 BC, Ezekiel prophesied the inevitability of divine judgment on Jerusalem, on the exiles in Babylon, and on seven nations that surrounded Israel (Ezekiel 1–32). Jerusalem would fall, and the exiles would not quickly return, as a just consequence of their sin. Once word reached Ezekiel that Jerusalem and the temple were destroyed, his message became one of comfort and hope. Through him, God promised that His people would experience future restoration, renewal, and revival in the coming messianic kingdom (Ezekiel 33–48). Much of the strange symbolism of Ezekiel’s prophecies was later employed in the Revelation to St. John. Writing from David Chytraeus, Onomasticon Theologicvm, Recens recognitum, in Qvo, Praeter Nomina propria ferè omnia, quae in Biblijs extant; plerorumque etiam Sanctorum, qui Calendario vsitatè inscribi solent: Item Doctorum ecclesiae, Martyrum, Haereticorum, et Synodorum, nomina et historiae breuiter indicantur (Wittenberg: Schleich, 1578), 298–301. Translated by Benjamin T. G. Mayes. 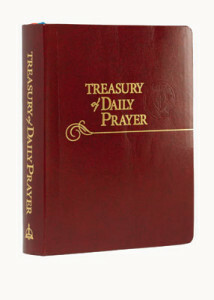 To order Treasury of Daily Prayer, please contact CPH at 800-325-3040 or visit www.cph.org.